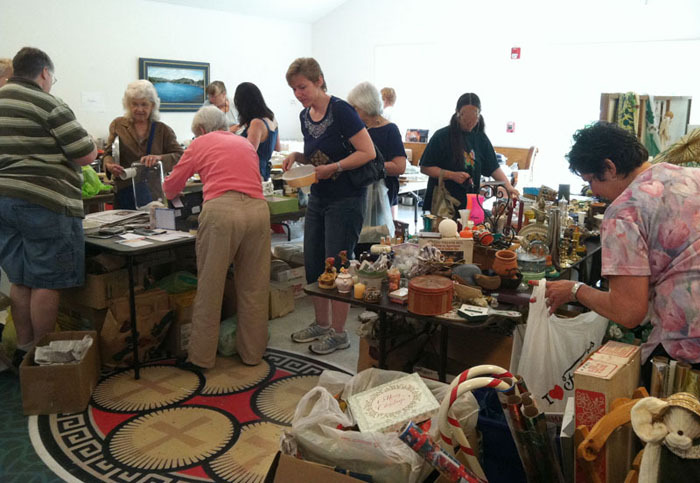 For is it that last weekend in May that the annual yard sale, church rummage sale, Boy Scout sale, estate sale and flea market season gets fully underway in the Catskills. 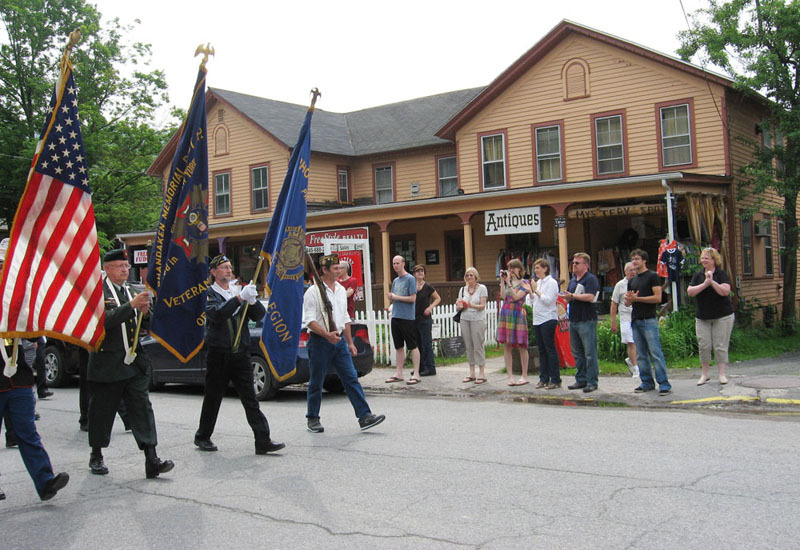 Not to mention some great small town parades. At the first ring of the alarm clock at some ungodly hour at the break of dawn (usually on the Friday of) the dedicated have gulped down their coffee, made sure to pack lots of small bills, and head off to the races. 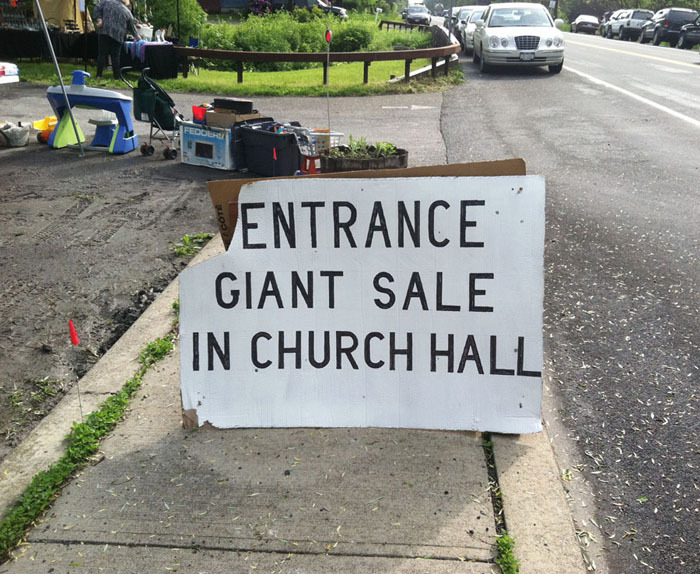 A must-see is the annual church rummage on Route 28 in Shokan. 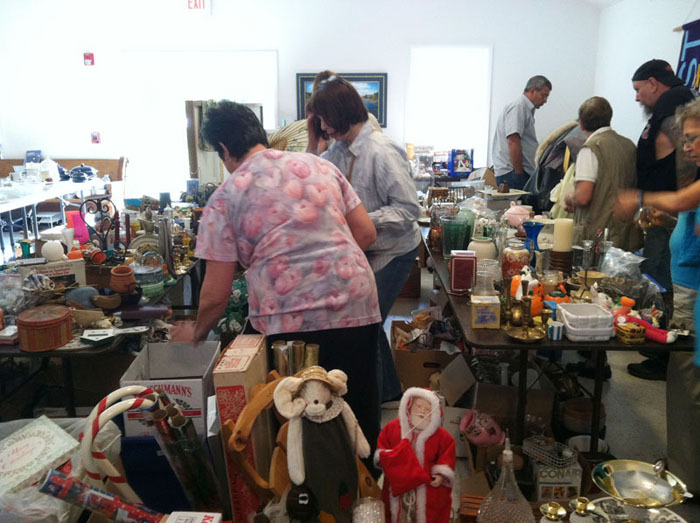 The church hall was especially loaded with treasures this season. This little fella caught our eye, but turns out he was NFS. 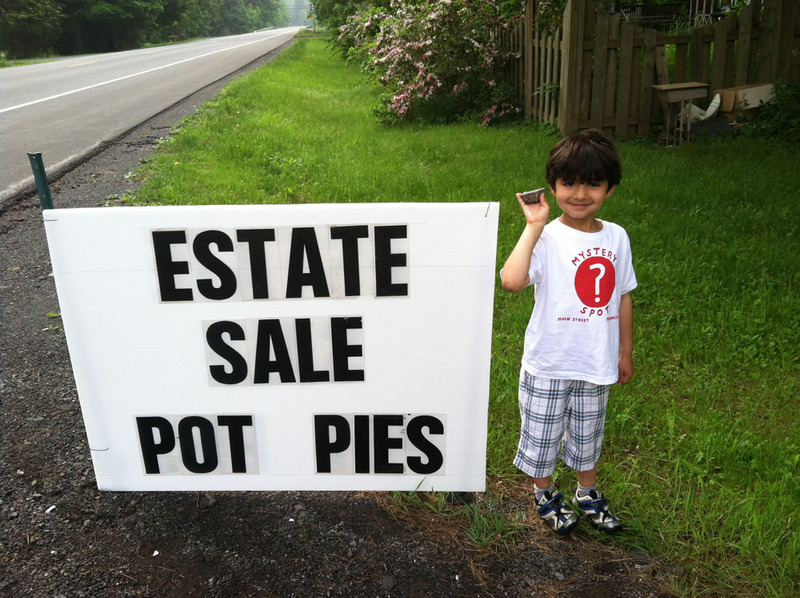 We’re convinced that the entire village of Phoenicia puts on its wonderful Memorial Day Parade every year simply to announce that yard sale season has begun. 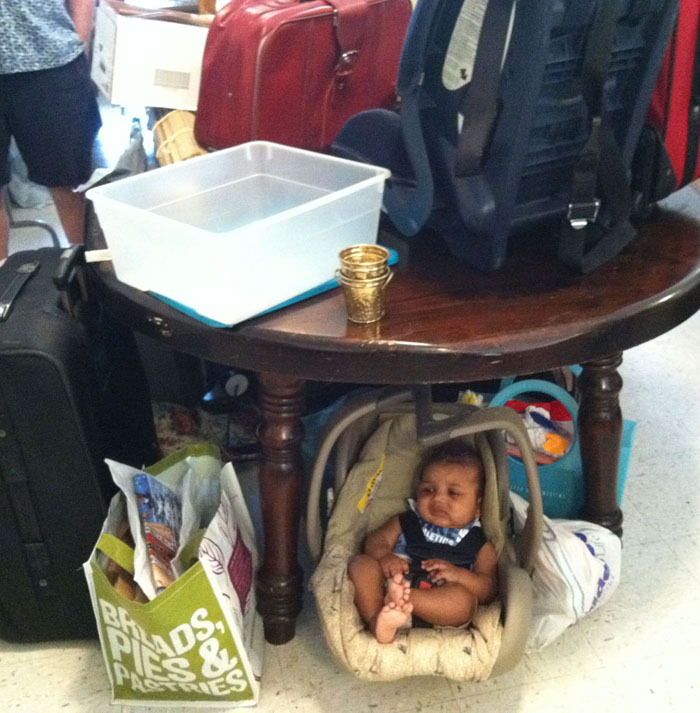 One of the perks of having a storefront on Main Street? They march right past our front door! 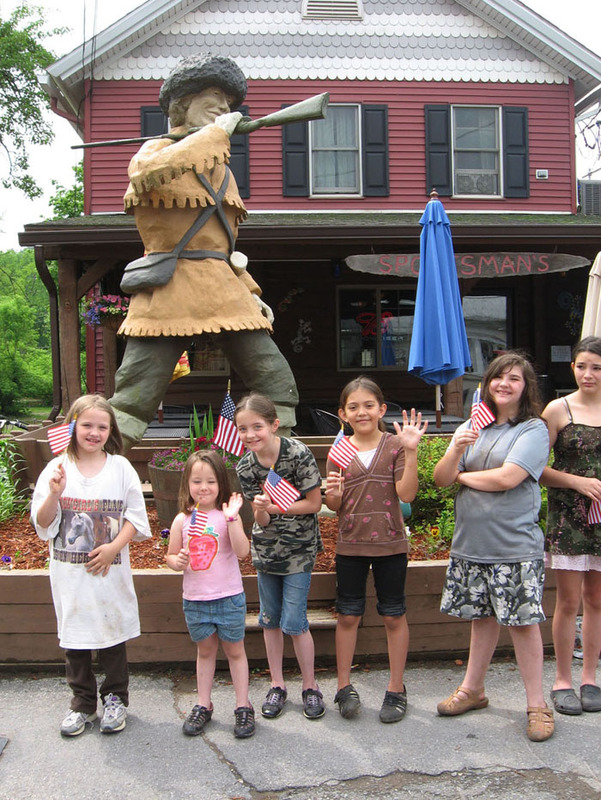 A bevy of beauties cheers on the parade under the watchful eye of The Sportsman's Davy Crockett.